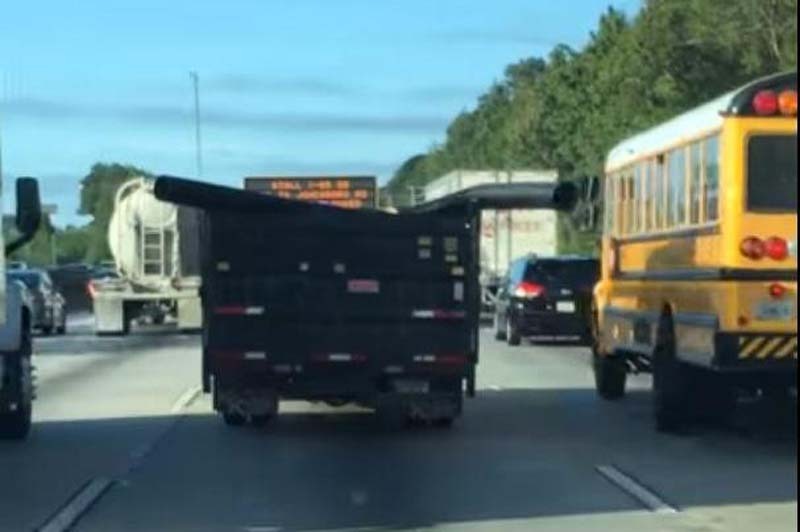 A driver on a Georgia road captured video of an oblivious truck driver striking other vehicles with a pipe sticking out from the side of their load. The video, recorded on a Union City road, shows the open-top truck transporting a number of oversized objects, including what appears to be a plastic pipe that ended up sticking out to the side at an angle. The pipe collides with multiple vehicles, including a school bus, without the truck driver taking notice. Multiple drivers honk at the truck to try to get the driver's attention and it finally pulls over, striking a street sign in the process. It was unclear whether any of the vehicles were damaged.